Choosing the appropriate platform for your paid social media marketing messages can mean the difference between finding high value audiences or creating a campaign with low engagement and a high cost per acquisition (CPA). Put simply, you want to pay to show ads where your most valuable customers are. Social media platforms can have dramatically different audiences, and each ad platform also has its own set of strengths and limitations. Since the type of customer demographic your company finds the most value in can vary, you will need to weigh the merits of each platform along with its audiences to allocate your resources most efficiently. You also need to consider how easy it is to set up a campaign. Fortunately, all of the biggest platforms offer self-service campaign building and advertising setup, reducing the need for rep contact or things like a minimum quarterly budget. 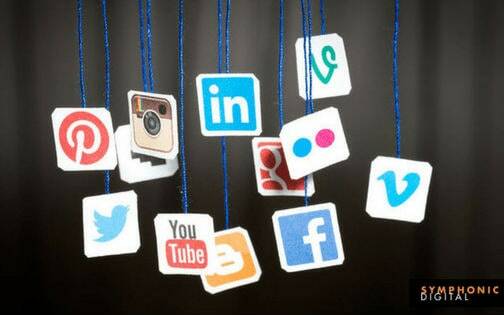 To make your decision easier, consider the following information on the biggest and most conveniently accessible paid social media platforms, including demographic data for each channel along with their respective strengths and weaknesses. Facebook is the largest social network by far with the broadest reach both in terms of overall volume and in its even mix of audience demographics. Audiences on Facebook still skew slightly younger, with 18-29 year olds as the most active users. But nearly 80% of 30-49 year olds in the U.S. use it too, as do 61% of 50-64 year olds. Facebook has the second-largest user base of older adults with 36% U.S. adults 65 and older on the platform. Facebook also has the largest share of all income brackets, with 76% of those earning $75k and up using it and between 65% and 70% of all other income brackets in the mix. Advertising on Facebook can be highly targeted, allowing you to build custom audiences using very specific demographic data as well as behavioral data measuring interests and typical engagement levels. You can also upload mailing lists to match up connected Facebook accounts, use tracking pixels to retarget website visitors or build look-alike audiences to scale reach beyond your existing customer base. All in all, Facebook offers budget flexibility and precision targeting with massive potential reach. Mobile users in particular engage with the app nearly an hour per day on average, providing you opportunities for online to offline conversions among people on-the-go. Best Used For: Facebook can be used for all social media marketing tactics across the sales funnel. Retargeting can help to close a sale with people who previously visited a brand’s website. Other tactics, such as look-alike targeting help to increase the reach with people similar to your existing customer. You can even use a look-alike sliding scale, which lets you choose to get extremely specific when choosing similar traits or more broad, depending on your needs. Finally, Facebook also allows companies to grow brand and product awareness while helping them lead their target audience down the purchase funnel. Instagram’s popularity has exploded, making it the second-biggest social platform behind Facebook. Even still, only 28% of the U.S. population uses it, and that number skews heavily towards the 18-29 crowd, with 59% of their U.S. population actively using it. 31% of those 30-49 also use Instagram, but the number of those 50 and older drops off precipitously. Demographics are nearly split evenly among income levels, and a high portion of their audience has either attended college or earned a degree. These limited demographics could pose problems for certain brands not interested in younger audiences, but Instagram shares much of its advertising platform with Facebook, so custom, precision-targeted audiences are available. This shared platform does mean that Instagram’s campaign building familiar will look identical to Facebook’s, enabling teams to quickly scale campaigns from one platform to the other. Ultimately, Instagram works best as a branch-off from Facebook campaigns, especially if you want to reach young people and college students. Best Used For: Instagram is best used for verticals that fit the platform’s lifestyle appeal, including, but not limited to: photography, fitness and sport, food and beverage, and fashion. As Instagram utilizes Facebook data, even if brands are outside the proverbial box, brands can still implement a working retargeting strategy to go after an audience already familiar with them. If a brand has a strong creative and active Instagram page, the platform can easily be used to generate interest although people seldom want to navigate outside Instagram during their browsing session. It’s often good to pair a follower building strategy to later reach organically. Twitter’s active user base has shrunk recently but still remains quite high at an estimated 328 million users total worldwide and 21% of the U.S. population overall. Again, audiences skew young, college educated and towards the $50k and up salary brackets. The rapid pace and condensed information format of Twitter and its ads makes the platform ideal for PR announcements, events, big promotions and other types of “breaking news” style marketing content. However, ad costs can be quite high on both a PPC and CPM basis. Twitter provides different campaign structures to control your spend, but ultimately marketers must measure performance and vigorously optimize campaigns to achieve the highest ROI. Best Used For: As Twitter has better search function than Facebook (in ads), granular keyword and hashtag targeting can help a brand tremendously. Relevant hashtags trend daily, so it’s best to have an ad-hoc strategy to capitalize on trends that relate to your brand or that you can tweak to your benefit much like how Oreo “Won The Marketing Super Bowl”. Otherwise, an on-going strategy for people using your brand in hashtags or lated non-branded hashtags can be used to drive promotions and incentives. One in four Americans is on LinkedIn, and nearly half are college graduates. Most users make more than $50k a year and almost none live in a rural area. LinkedIn also has the second-highest number of active users 50 and up, behind Facebook. LinkedIn’s B2B focus and specialized ad formats should also appeal to certain industries. Display ads can be targeted to certain user demos, while Sponsored InMail can deliver content directly to user inboxes. Sponsored content campaigns can also boost the visibility of important pieces or major PR pushes. The platform lets you choose between PPC and CPM models, but it maintains a $10 per day and a $2 per click or 1,000 impressions minimum. These minimum bids mean you must choose your audience and campaign carefully in order to avoid wasted spend or a high CPA. Best Used For: Because of Linkedin’s business-focused audience, B2B campaigns tend to do very well. While it is hard to generate sales, creating sign ups for product demos, webinars or events can be done effectively. If you already have a buyer persona created for your product/service, Linkedin’s targeting options will enable you to engage with people based on their job title and function, company and industry size or seniority. Over a quarter of people use Pinterest, and over two-thirds of them are women. Engagement is fairly equal between 18-29 and 30-49 age demos, but Pinterest also has the second-highest 50-64 population after Facebook at 24% of U.S. adults that age overall. Income levels are split evenly, but most users have attended college. Advertising on Pinterest requires you to start an account and post “pins” just like any other user. You can then pay for Promoted Pins to grow your posting reach beyond your audience of followers. Campaigns can be targeted by chosen user interests, keywords or using brought-in data such as retargeting users who have visited your site. Best Used For: You’ll want users to have an “Oh, I love that…” moment. As the platform is predominantly female and contains large image content, it’s a perfect place to promote retail, much like Google Shopping. People searching particular hashtags and keywords can stumble across your brand and easily find something they are willing to buy online or at a store near them with a layer of geo targeting. Other popular categories are fashion, home design, craft and kids. Which Social Media Marketing Would Work Best for You? The answer to this question depends entirely on the audience you aim to reach and what you expect them to do in response to your ad. Facebook provides a good general starting point, especially when targeting mobile, but businesses can also benefit from advertising on LinkedIn, Pinterest, Twitter and other platforms based on their individual campaign goals. Ultimately, companies should also look to the strengths and weaknesses of each platform from a user standpoint as well as the platform’s business model for setting up paid campaigns. If all this sounds like too much to handle, you can work with a proven social media marketing agency with experience in all realms of digital advertising. Let us help you strategize, allocate the perfect budget, measure and optimize your campaign over time to be as effective as possible. Contact us today to get started. We help you create a social media marketing strategy that focuses on the right channels to deliver your message and generate the desired business outcome.